GOOD GRAVY I AM AN ADULT. IT IS TOTALLY SHOCKING. No, I mean it. I really am surprised sometimes that I am not still 18. And I am also very VERY grateful I am not really 18. It’s a strange paradox. Being me. You get the mail. Inside the mail is a letter from the IRS. Adult self: Opens letter, maybe even with silver letter opener thingie like they use in soap operas, reads contents, and goes on with your day. Surprised That I’m Not 18 Self: Gasps, sets letter down as if there is a spider on it, looks around. The IRS is hunting you down. By MAIL. You are in trouble. Walks away quickly to eat a Snickers. Adult Self: You answer it. Surprised by… you know: Gasps. Looks around. You are probably in trouble OR someone has died. Walks away quickly to eat a Snickers. 3. Someone is at the door. Adult Self: You answer the door. LIKE A BOSS. Surprised Loser Self: Runs and hides with Snickers. For some reason my lack of adulting always reverts back to chocolate? This is good and bad. Anyhow. Lately, I have had to do a number of things called: Conference Calls with The Big Kahunas At Central Recovery Press. These people are wonderful and lovely. They are smart, and really good at what they do, and also, I think, super cute. But they keep making me do CONFERENCE CALLS. THESE ARE HARD. You have to listen to others, and not interrupt too much or breathe too heavily or snicker at them (laughing, not eating) because no one really gets why they are all talking business stuff and you’re over there chortling at something someone said like two minutes ago. Also: they use words like “marketing” and “talking points” and “live radio interviews” and all this makes you feel rather jangly. Boss at CRP: Let’s talk again soon. Me: I’m fine, and how are you? I twerked before it. While waiting for my other conference callers to get on the line, I stood, in my pajamas in the kitchen, with my dog and some coffee (I had the coffee) and listened to the Muzak version of “Hips Don’t Lie” and my hips, they just could NOT lie. They had to get down. So, I walked around my house, rumping up against things and confusing the hell out of the dog, but it was HOT, I tell you. I was on FIRE. No, not really, but it was good for my 18 year old soul to shake what my momma gave me (thanks, Mom! *) and get over myself for two minutes before Big Important Business. And then, totally slip on the linoleum because fuzzy slippers, and spill coffee on the dog** but you know, you managed to recover with hair flip and no groin pulls. *My mom is mortified by this thought. 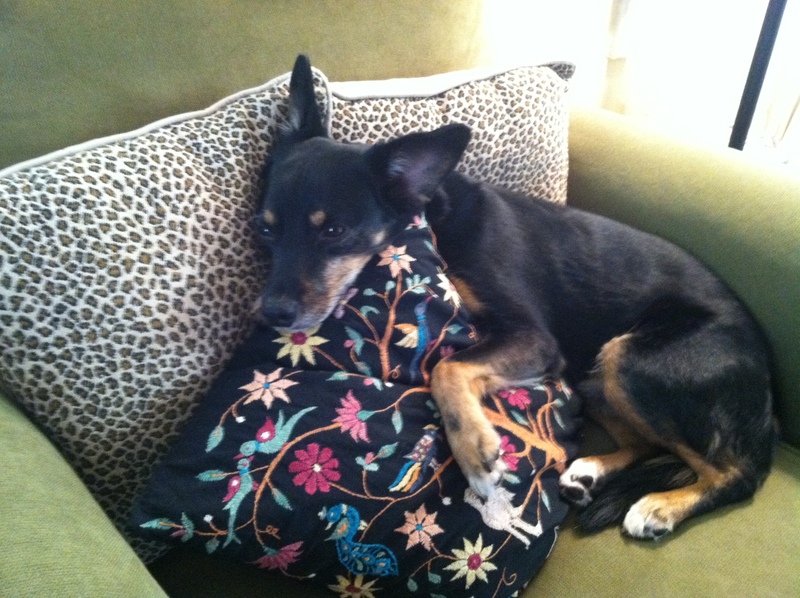 ** No sweet pweshum doggies were harmed by the making of this post. At least physically. I did catch him on the phone with his therapist later asking if he could get in for an “emergency appointment.” The twerking. It’s gonna cost him. *** Yes, I wrote a book. 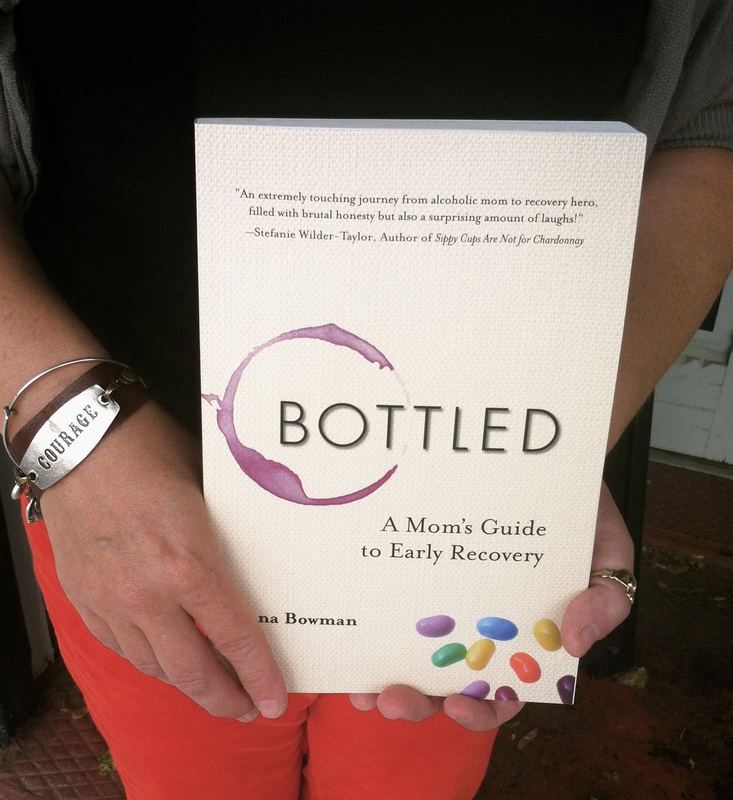 Bottled: A Mom’s Guide to Early Recovery. Want to order? Click here or here! Previous Everything’s Perfectly Fine Here. How are You?